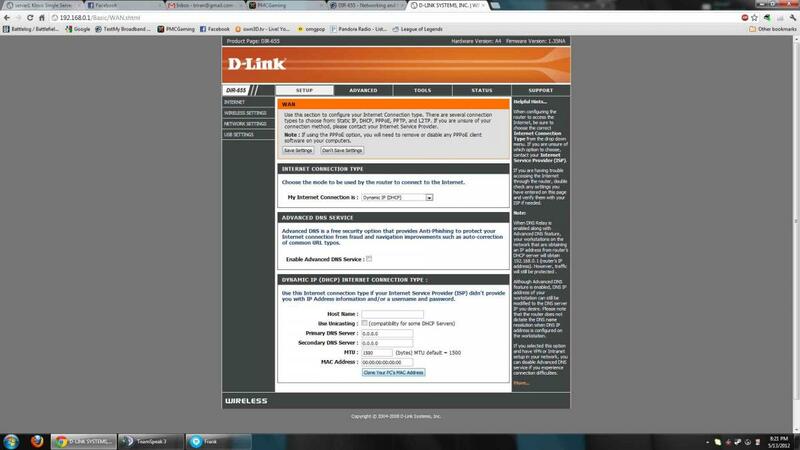 I am upgrading from a linksys wireless g router to a dlink dir-655 wireless n router. The new router will not connect to the internet, if i switch back to the old router all is ok. I have tried automatic and manual setup and nothing seems to work. 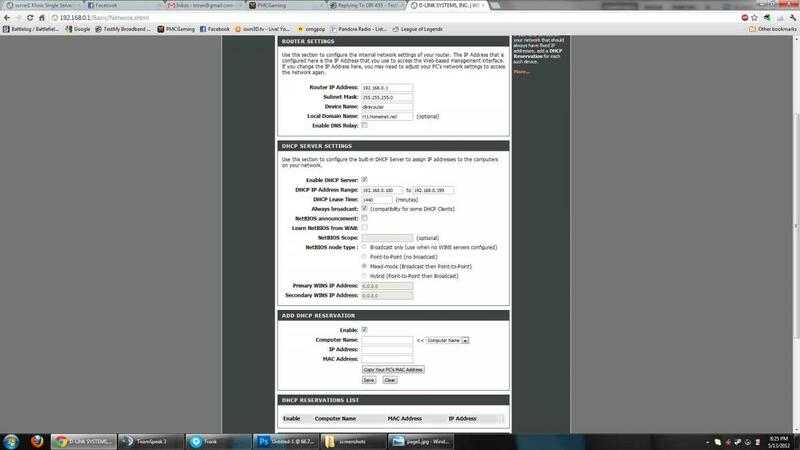 I have reset the modem each time I have switched the router. 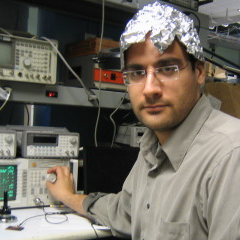 I have updated the firmware in the router to the latest. I am using a motorola surfboard modem. Any tips on manual setup? Aside the great Tut Triran has made, which should have done the trick, I know charter used to offer DSL , would you be one of the lucky ? Does motorola make surfboards for DSL? Probably not. Hence why we should insure we've read all of the above posting before making a post . 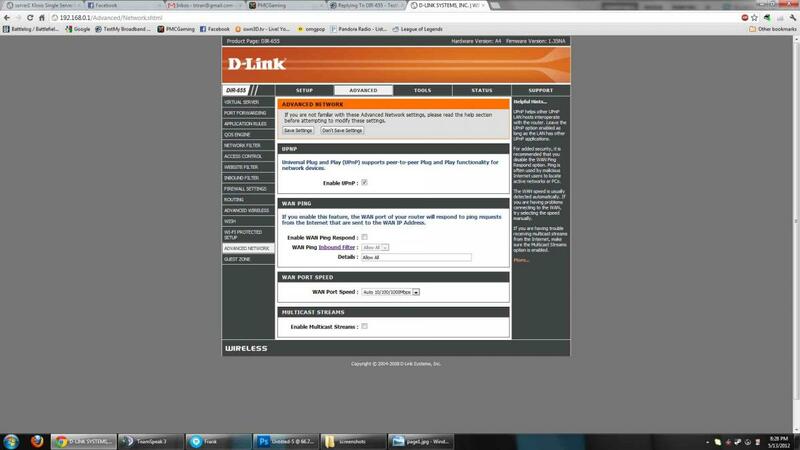 Emailed back and forth with D-Link tech support, router would not connect no matter what we tried. Ended up getting an RMA for the unit, going to try another one. I am on charter-cable not dsl, thank goodness. Spent 2 hours on phone with D-Link tech support, they say it is a DNS problem, call your ISP get DNS addresses and call us back. Can you ping the modem through the router ? From a local wired machine. I know you said any , at the same time you mentioned pinging from within the router. I was able to connect to the modem through the router for about 30 seconds then connection was interupted. 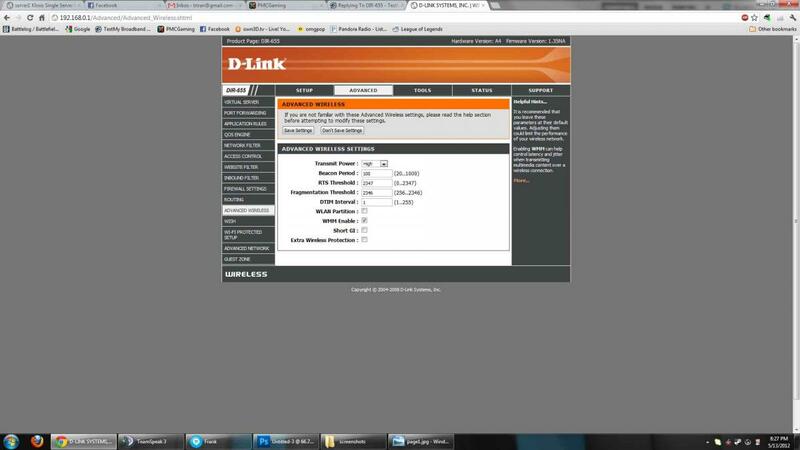 2nd call to d-link with no results. Going to RMA this and try another router. A second doa router is highly unlikely although not entirely unheard of. I could connect to the modems webpage for about 20-30 seconds, then the connection was no longer there. 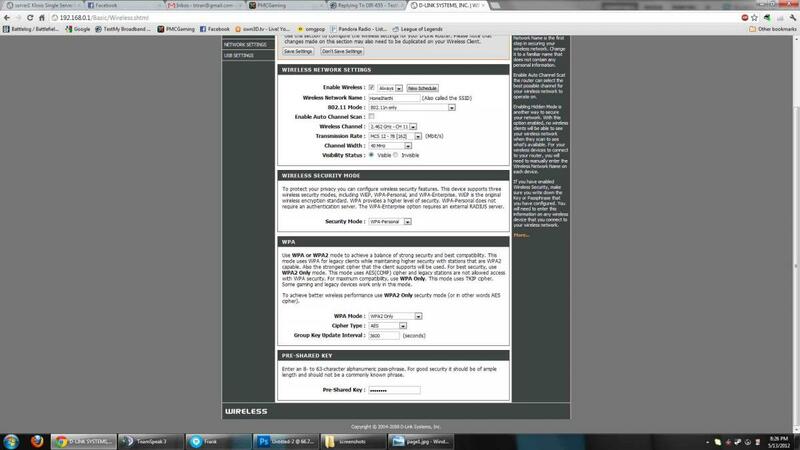 I tried multiple DNS servers, The router would not maintain communication with the modem for some reason. I now have a new Linksys N router, which was up and running within 5 minutes. Not sure what was going on, that router and my Surfboard modem just did not work well together. I have been using the Linksys N router for a little over two weeks now with not a single hickup.